The team also proved that it is possible to create a device that conforms to the subject—something that is not possible with current X-ray detectors. This means that it could be possible for breast cancer screenings to be carried out by adapting the X-ray detector arrays to the specification of different patients. A new start-up company to further develop this technology and bring it to market—looking specifically at the health, food monitoring and pharmaceuticals sectors—has been formed. 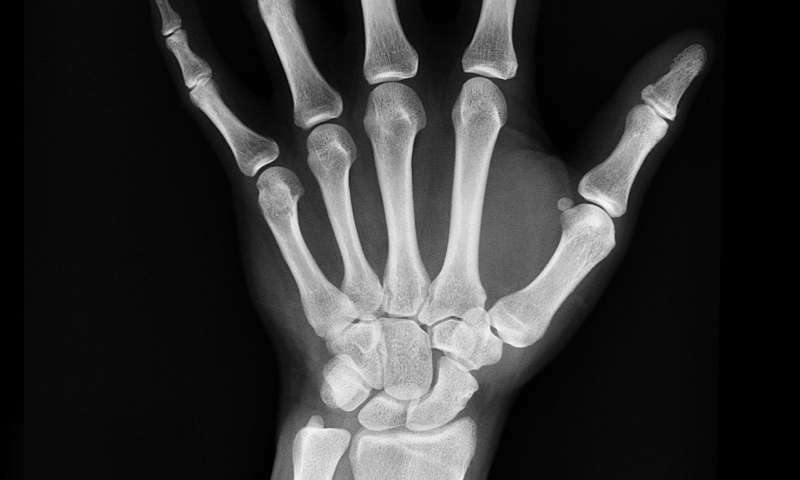 Hashini Thirimanne, lead author of the study and Ph.D. student at the University of Surrey, said: "Our new technology has the potential to transform many industries that rely on X-ray detectors. We believe that this innovation could help save lives, and keep our borders more secure, and make sure that the food we eat is as safe as it could possibily be." Dr. Imalka Jayawardena, co-author of the study at the University of Surrey, said: "We are excited to pursue this technology further and bring it to market. I would like to thank the University of Surrey for their support over the years and I look forward to continuing this relationship ."